Artificial grass is a huge investment for most people. Yet, some customers cut corners on product quality in order to save money on the total project. However, is it worth it? Not if you are asking Artificial Grass Pros. Cheap artificial grass could cost a lot more in the long run, Here’s why. If your artificial grass is of poor quality it can melt. Take the example of 5 California schools who had to replace their athletic fields because the fields melted. Yikes! And while the jury is still out on whether or not the melting was caused to due California summer sunshine, you do have to wonder about the timing. Replacing five fields after just after five years is definite cause for concern. If inferior products were used, this scenario would be a likely one. In order to sell cheaper products, some companies will cut corners. They may use an inferior glue or not enough, which causes the backing to separate. If cheap pellets are used for infill, melting would be likely. Make sure your installer explains options to you and choose the best one for your situation. Cheap artificial grass will use low quality fibers. Because of this, you lawn could change color over time. Even worse, some spots could fade or discolor quicker than others depending on how the sun moves across your yard. Ultimately, you could end up with a patchy yard full of discolored spots. So how do you prevent this? Ask about the product beforehand. Procure samples before installation from your sales person. Artificial Grass Pros will schedule a consult for you. And please, we encourage you to ask as many questions as you like. We will be happy to answer them! artificial grass with low quality fibers will shed over time as evidenced by this yard. In order to make a cheap product, you have to cut corners somewhere. Fibers are one of the main areas manufacturers will cut corners because it makes the most impact on the cost of production. So while it saves them money in the name of more profit, it spells bad news for you. Cheap artificial grass fibers feel harsh and have an unnatural texture. Also, they can discolor over time (seems like we just mentioned this). Eventually, they may shed. This is more bad news for you because shedding leads to nasty issues like bare spots and thatch. If grass fibers are not removed from the surface they lodge among the other fibers creating drainage issues. Before you know it, you will be faced with decompacting your infill much earlier than expected (this can get expensive quick). Even worse, you may have no choice but to replace huge sections of your yard, or the entire lawn if shedding continues. All of a sudden, your cheap artificial grass is not looking so good. Low quality backing is often used to make cheap cheap artificial grass. It is also a nightmare waiting to happen. Cheap backing can split or break in places. Also, it can completely separate from the artificial grass itself. So why does this happen? The answer is two-fold. First, the backing material used for the artificial grass was too thin. Second, the seal coating is too thin. The best method of prevention is simple. Avoid cheap artificial grass. 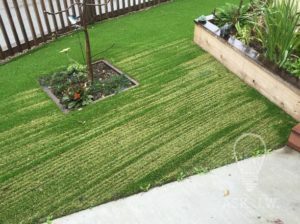 Thankfully, there are a few things you can do to make sure you do not end up with a yard full of cheap artificial grass. Simply answer the questions below and keep them in mind before you make your final decision. They will help you choose a quality product that lasts for years to come. 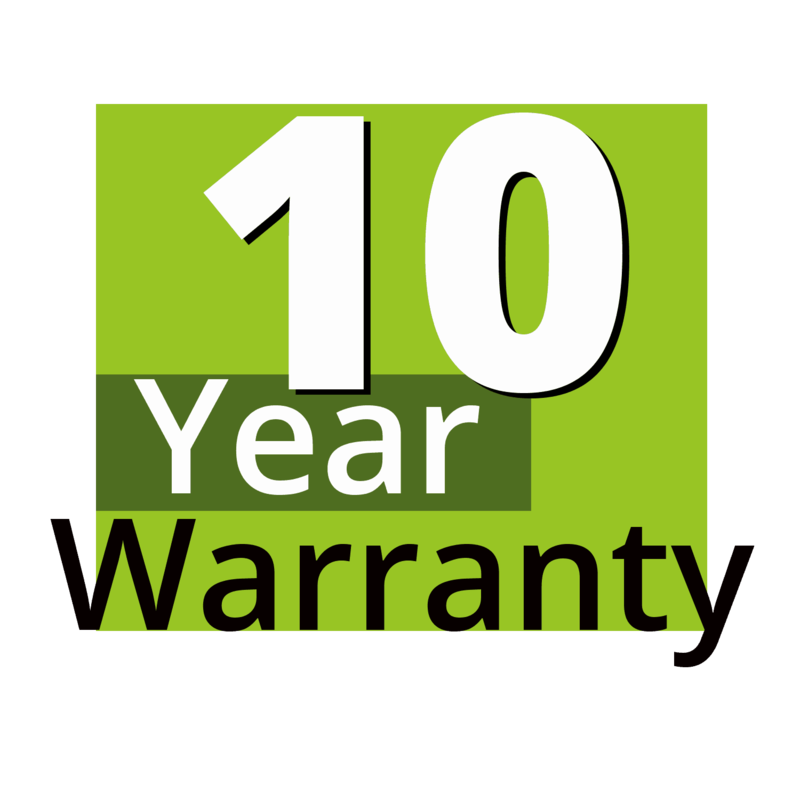 Most of us would not dream of buying anything today without a warranty. Artificial grass is no different. Always make sure you ask if the product comes with a warranty. If you are using Artificial Grass Pros for your install then you have nothing to worry about. 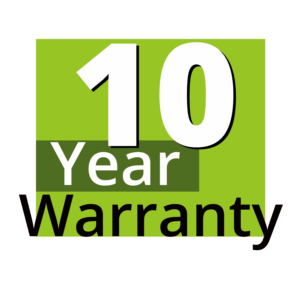 Our products carry a 10 year warranty against fading. In fact. To show you how good an install looks 10 years later, check out this recent post. This yard just hit the 10 year mark and we expect it to look amazing for another 10 as well! Do you know where the product comes from? Cheap artificial grass manufactured overseas is never a good idea. There is so much uncertainty. You don't know the ingredients used during the manufacturing process. Because of this, there are all sort of quality concerns. The grass could fade, the backing could split, there could be seam issues, the list goes on. Cheap artificial grass is a problem waiting to happen. It’s not a matter of if, but when. Therefore, ask where your artificial grass originates. Furthermore, ask about the production process. Ask about the backing, the blades, ask as much as you can. Educating yourself beforehand is key if you want a lawn that will last. Of course, you could always give us a call. Artificial Grass Pros is the best solution if you want to avoid cheap artificial grass. Also, choosing us gives you a few advantages. First, we have some of the most experienced installers in the business. Because of this, your lawn will look fantastic when we are finished. Obstacles are no worry either. Our experienced team has seen it all. Furthermore, we own our own artificial grass manufacturing company, NewGrass. You don’t have to worry about finding an artificial grass company, then choosing an install company. Artificial Grass Pros makes the process efficient and easy. Plus, the NewGrass product line is hard to beat. it is one of the most advanced in the industry! So avoid cheap artificial grass. The low price might be attractive, but it will cost you more in the long run. Instead, call Artificial Grass Pros. We have the team, products and warranty to make sure your grass stays green. Your green space is only a phone call away!